WordPress.com is all about making your special day something to remember, and you’ll now find that there are a number of beautiful themes for sharing your wedding with friends, family or the world at large. 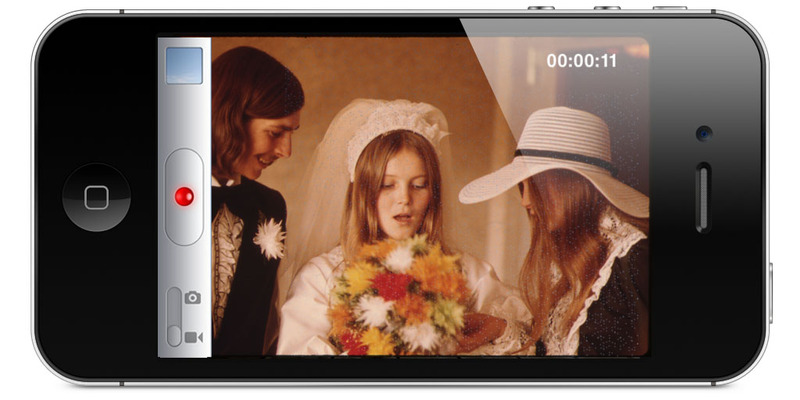 Earlier this week we looked at some creative uses of these wedding themes, and today we’ll talk about why and how you might want to use the VideoPress upgrade, a wedding theme, and one or more of the various WordPress mobile apps to capture even more of your memories. We’ll be looking at weddings specifically, but you can apply a lot of the ideas here to your bar mitzvah, graduation ceremony, birthday party, Thanksgiving, or any other important event you’d like to remember. The VideoPress upgrade gives you the capability to add beautiful, ad-free, HD video to your blog without ever leaving your dashboard or mobile app. Say good bye to uploading your video to one place before “embedding” it in WordPress, only to find that there are ads plastered all over it. With VideoPress, you can capture video right from your mobile, or upload it right from your desktop, and then share it instantly. Sure you’ve hired a professional photographer, and the photos look great. But what if you had a way to capture everything going on at your wedding, from the perspective of the friends and family you care most about? 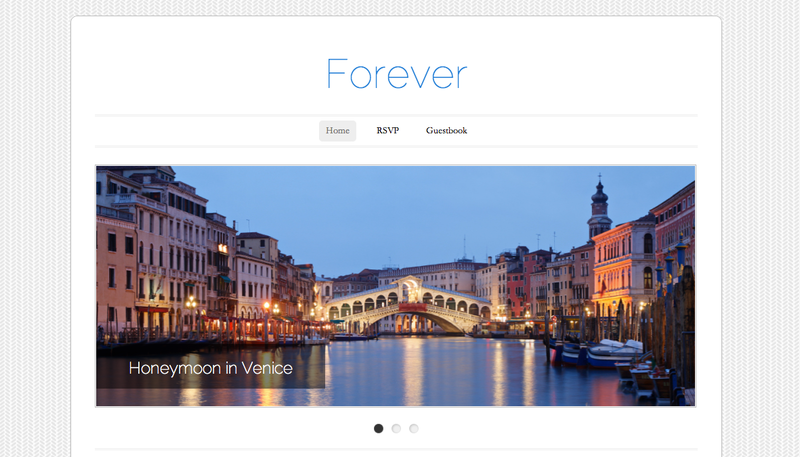 With VideoPress, a beautiful wedding theme, and some mobile-toting guests, that’s exactly what you can have. Think about all of the things you won’t see on your wedding day, because you’re nervous, busy getting ready, focused on the task of, you know, getting married, or otherwise occupied. This way you get to see everything, and know how the whole thing looked from your guests’ point of view. Simple, no? Let’s get started. There are no limits to how many blogs you can have on WordPress.com, so why not start a new one just for your special day? If you’re logged in, head to the My Blogs tab from WordPress.com, and choose “Create a new blog” over on the left. If you’re new to WordPress.com, sign up and get stuck in. You could also consider searching by Subjects > Theme on the WordPress.com Theme Showcase. 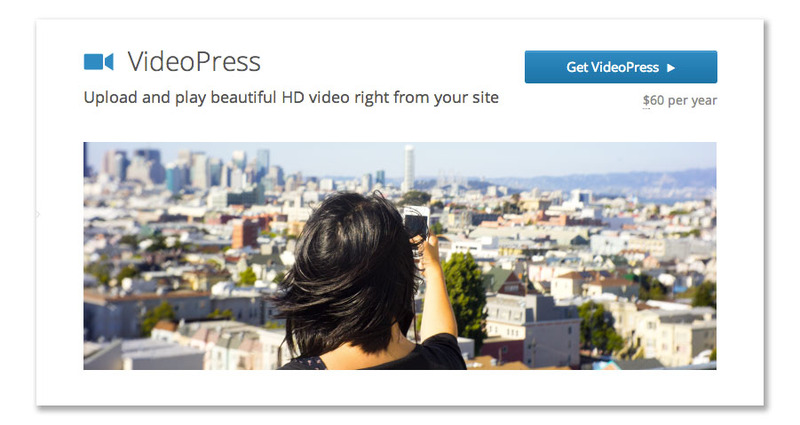 You’ll need the VideoPress upgrade to get up and running with video. 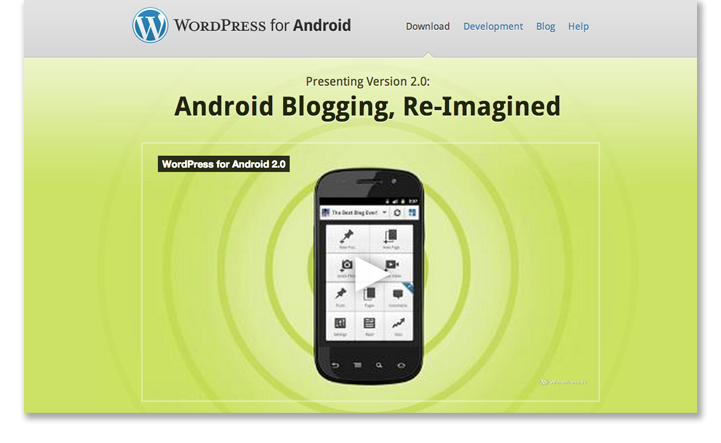 You can grab that right from the Store menu in your dashboard, or by heading over to the WordPress.com Store. Once you have that activated, you’re good to go with the next step. To let your guests post to your blog, you’ll want to invite them to participate on the new blog. You can do that from the Users > Invite New menu of your blog’s dashboard. Now your guests have accepted their blog invitations, they’re ready to post video. To make that as easy as possible on the big day, point them in the direction of the WordPress mobile app that suits them. We have a bunch of different flavors, so most modern mobiles are covered. Ask them to play around with the app and find their way to the video capture/upload option in their given app. That’s it. Unloose your army of smartphone-wielding Spielbergs on your big day, and watch as the videos come pouring in right from their phones. Or, erm, watch later when you’re back from your honeymoon. Because our mobile apps let people upload video instantly, all they need to do is capture footage as it happens, hit upload, and publish those memories. Drunk uncle dancing? Check. Blushing bridesmaids and nervous pageboys smiles? Check. Cake cutting from seven different angles? You got it. And the best thing is, seeing as the uploads are instantaneous, all of these priceless moments won’t end up languishing on their phones or camcorders for months or years to come. Whether you’re sharing your big day with the world, or you have a private blog that only friends and family can see, you’ll now have a beautiful, unique collection of memories gathered together in one place, to revisit whenever the mood takes you. If your VideoPress upgrade subscription lapses at some point, all of your videos will stay up and running, because we’re not interested in holding your memories to ransom. And if you ever want to take them elsewhere, you can easily download your videos to your desktop and do what you like with them. Easy in, easy out. We’d love to hear about your ideas for how you could (plan to, or did) make creative use of WordPress to make your wedding or other memorable event even more awesome. Wow…Very cool. I’ll have to use this if I ever get married again. This is cool…we’re using screenr over at http://skematiktheme.com for our video tutorials, but I’d rather be able to edit my own videos and then publish them…I’ve used Vimeo and just been nervous to switch to VideoPress but maybe I’ll give it a try. What a brilliant idea! I can’t wait to try this. Vey cool. Just so I am clear, if I upgrade my blog and invite others, as long as they have the mobile app they can post video to my blog? This could be super useful for collating video from event attendees, nit just weddings. Yes, if the person has a WordPress.com account and has been invited to contribute content to the site, they can open up their WordPress mobile app and access/post to your site this way. For example, in the Settings for the WPiOS app, event attendees can click on “add a blog” and add your setting site to their blogs list. Hi there, the video idea for guests sounds a brilliant idea and I would love to add this to our website. Just one question, do we invite wedding guests are contributers to enable them to add videos or another type of invited user? Worried they would get too much freedom over posts, especially after a few drinks! If you could help I would be most grateful. Wow, another forum to discuss your Wedding… These people dont need any more encouragement… They’re usually boring the rest of us every day up until the big day as it is! For everyone else (bar wedding theme) looks ace!